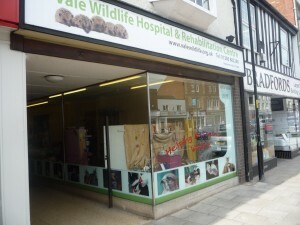 Our Charity Shop is situated in Evesham and has been busy raising funds for the Hospital since 2001. It is manned entirely by volunteers and everything sold in it has been very kindly donated by members of the public. We are always desperate for more saleable goods to sell in it and you are welcome to drop items in whenever the shop is open. Clothes, toys, books, jewellery, cd’s, anything that is in good condition can raise us a few extra pounds. We are always keen to recruit more volunteers to help in the shop too. If you can spare half a day on a regular basis, please get in touch, we need your help to keep the shop going.The shop is open from Mondays – Saturdays from 9.30am until 4.30pm. 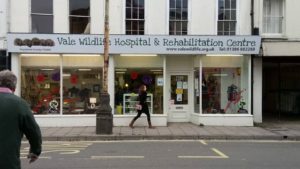 We now have a charity shop in Cheltenham as well, in the High Street, near The Strand. We urgently need volunteers for the new shop so if you can spare a few hours on a regular basis e.g. once a week, please ring Ang on 07810 246 197 or contact us at the Hospital on 01386 882 288. We also need goods to sell in it and you are welcome to drop items in whenever the shop is open. Clothes, toys, books, jewellery, cd’s, anything that is in good condition can raise us a few extra pounds. PLEASE NOTE THAT INJURED WILDLIFE CANNOT BE ACCEPTED AT EITHER OF OUR SHOPS. PLEASE BRING CASUALTIES TO THE HOSPITAL IN BECKFORD OR RING 01386 882 288 FOR ADVICE.